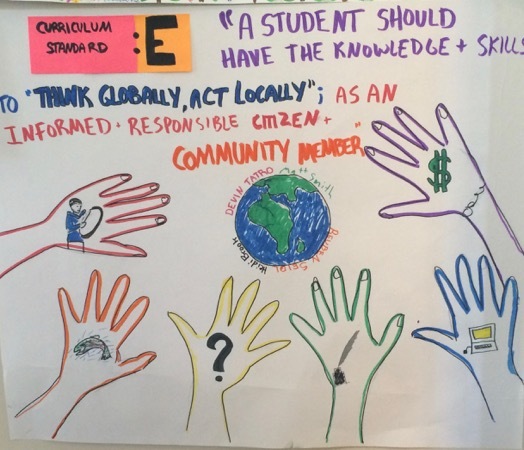 Culturally Responsive Curriculum Standard E can be summed up in the short phrase, “Think Globally, Act Locally”. The main goal of this standa rd is to have students put their local experience into a global context. 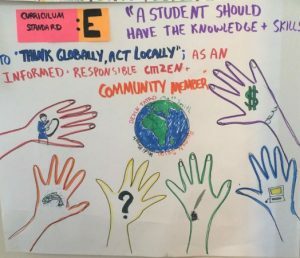 By thinking globally, students may gain an appreciation for the impact that their community can have on a global scale. One potential lesson could be for students to research the traditional hunting and fishing practices. From this point, students would look into how Fish & Game determines game management regulations and compare that to the traditional practices previously researched. I think that it would be really neat to bring in a panel of various community leaders from the game management arena to discuss how they use local insight to try to develop responsible game management practices. Totes. It’s good to think of global issues and how they relate to the local community. I really liked your lesson idea! It is not only relevant, but it allows for great discussion, critical thinking, and community involvement. I would love to sit in on that community leader/class discussion!